Feb 4, 2013 by Jason Newcomb 2 Comments Posted In: Say What?! 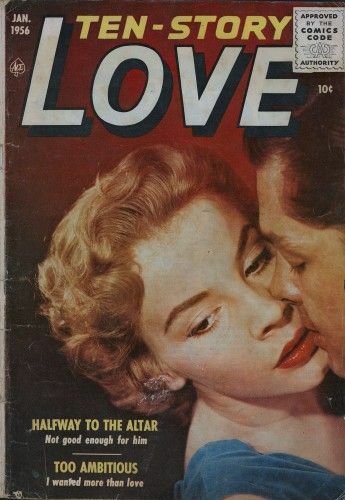 Romance comics rarely fail to amuse. I call them kissy kissies. You won’t believe me when I say this (because it’s a lie) but I was present at this photoshoot. Here’s what I heard. If “halfway to the altar” isn’t good enough for this creep, you have to ask yourself what “the altar” really is? … I’ll bet it’s real taboo. Don’t worry, Mom & Dad — it’s approved by the Comics Code Authority!